Everybody knows about Rorschach inkblot tests, and they always charmed me… It’s like looking clouds and recognizing different shapes. 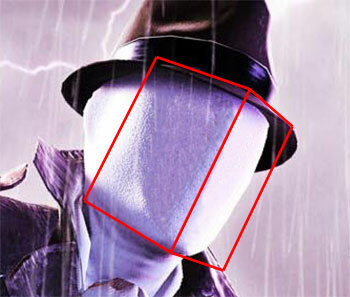 However I must admit the real turn on came after watching Watchmen the movie. 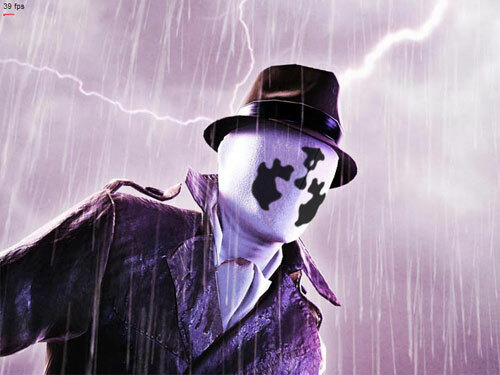 Seeing those animated inkblots on the face of the character symbolically named Rorschach is something really fascinating. So here we are, after about an hour of coding fun this is what I came up with. ovalClass is the (optional) reference to the class containing the face background. 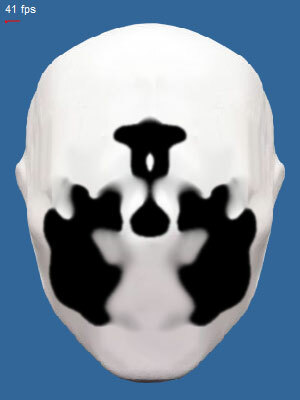 Download Rorschach class for your experimentation pleasure. 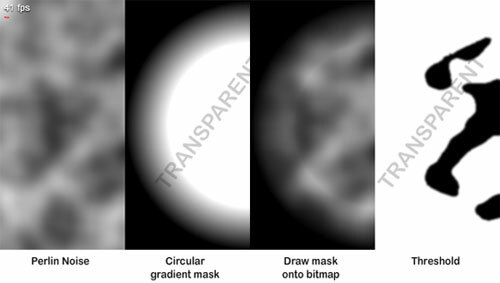 All nice, but the aim of this simple experiment is seeing Rorschach animated face in action so here we go… we will be using this class in a practical example. we create a MovieClip which has the Rorschach class instanced and a rectangular solid background for composition reference in it. Then we set layer visibility to wireframe and add another instance to the stage, which is flipped horizontally. Just position the two instances using 3D rotations and we are ready. The last (and D-E-F-I-N-I-T-I-V-E! ) 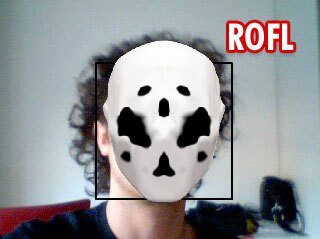 usage for this is apply it to a realtime webcam face detection algorithm. I used this originally created by Ohtsuka Masakazu and optimized by Mario Klingemann. The result is totally weird (don’t expect photoreal hollywood effect LOL) but it’s funny, even if the face detection algorithm is not perfectly smooth.